Google Assistant is keen on taking as big a role in your life as possible, and to that end Google keeps pouring new features into the app, whether it’s on your phone, your dinky smart speaker, your Pixelbook, or your Nvidia Shield. 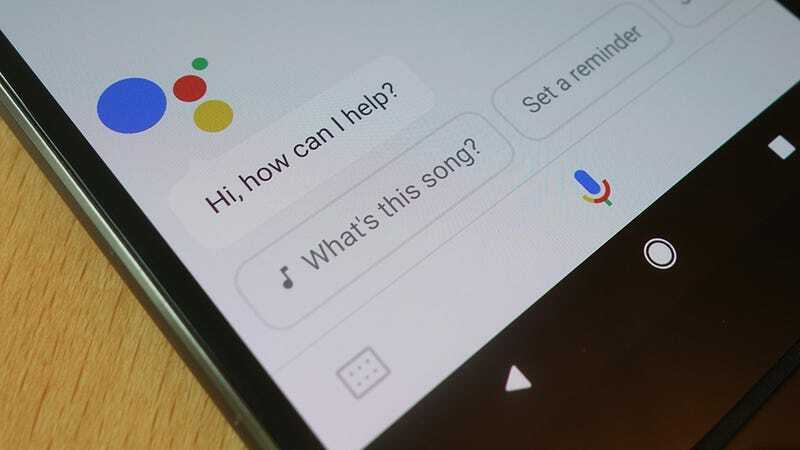 Here are 7 capabilities that the Assistant has been given that you might not have made use of yet—we’ve specifically tested them on phones, but they should work to some extent on other devices too. Ask Google Assistant about flight prices—from, say, Los Angeles to New York—and not only will it come up with a selection of prices from the biggest airlines, it will also display a “track prices” button you can tap (or just say “track prices” as your next voice command to set up the feature). You’ll get an email delivered to your Gmail inbox to confirm that price tracking has been activated, and the Assistant will pipe up whenever it finds a lowest price that’s higher or lower than the one it originally gave you. Follow the link in the email you get, or head to this link, to manage your flight tracking subscriptions. Actually tapping and swiping through your photos is so 2016—nowadays all the cool kids are getting are shouting their demands into their phone to bring up the right images instead. Though those images need to be stored in Google Photos first. You might not think it sounds all that useful to begin with, but give it a try and you could be convinced. Try “show my photos of sunsets”, or “show my photos from January 2015", or “show my photos taken in San Francisco”, for example. It’s called Meme Buddy and all you need to do is fire up Google Assistant on your phone and say “talk to Meme Buddy”—you then get guided through the process of creating an ultra-shareable, culturally cutting meme of your own just by describing it. You can say “change the picture to...” or “change the text to...” or just start again. As the name of the umbrella project suggests, this is still just an experiment, so you might not get perfect results every time, but it’s a great little tool for having fun with. Google Assistant works seamlessly with any Chromecasts you’ve got dotted around the house, provided you’ve given them names that Assistant can understand (like “study”, “kitchen”, or “living room”, for example). If you’re signed up for Netflix, you can say “play Orange is the New Black in Living Room”; if you’ve got Spotify, you can say “play R.E.M. on Spotify in Kitchen” (or use Google Play Music instead); saying “play Star Wars videos in Study” will fire up your study Chromecast and start streaming a selection of Star Wars-themed videos from YouTube. You can use Google apps and services for this right out of the box, or add support for the likes of Netflix and Spotify by connecting your account through the Google Home app on your phone. For a while now Google Allo has had a subscriptions feature where you can get the same information delivered to you at the same time every day—examples include a funny joke, or a weather report, or a nugget of trivia. This feature is now available in Google Assistant through the command “send me ... everyday”. As per the Google support page, you can pick from the weather, a poem, a quote, a funny video, a fun fact, or a mindfulness tip, and no doubt more will be added further down the line. Confirm you want an update every day, and pick a time. On a phone, the Assistant shows an alert when your update is ready—it doesn’t just blurt it out. Tell the Assistant to “show active subscriptions” to see the subscriptions you’ve set up and modify them if needed. If something pops into your mind that you don’t want to forget, Google Assistant can make notes throughout the day then present you with a summary in the evening (or whenever you like). However, you need to sign up for a free IFTTT account to get this working. Log into IFTTT on the web, head to the Google Assistant channel, and look for the applet labeled “Keep a list of notes to email yourself at the end of the day”—turn it on, connect your Google Home account, and review the settings before clicking Save. You can then say (or type) “add hotel bookings to my digest” or “add the plays of Eugene O’Neill to my digest” and Google Assistant keeps track of everything, emailing you at the time you’ve specified with a summary. It’s a neat and useful alternative to the reminders feature in Google Assistant. Here’s another IFTTT one—remember you can use IFTTT applets together with Google Assistant to do pretty much anything you want, but in terms of a trick that’s useful and quick to set up try this social media one. Turn it on and you can update both Facebook and Twitter at the same time, using your voice to create a simple line of text. The command is “tell my followers...” followed by whatever it is you want to say. Your default privacy settings will be used, so the people who see it will be whomever you allowed to see your posts the last time you did a Facebook status update.